API used to generate Student Access Report? 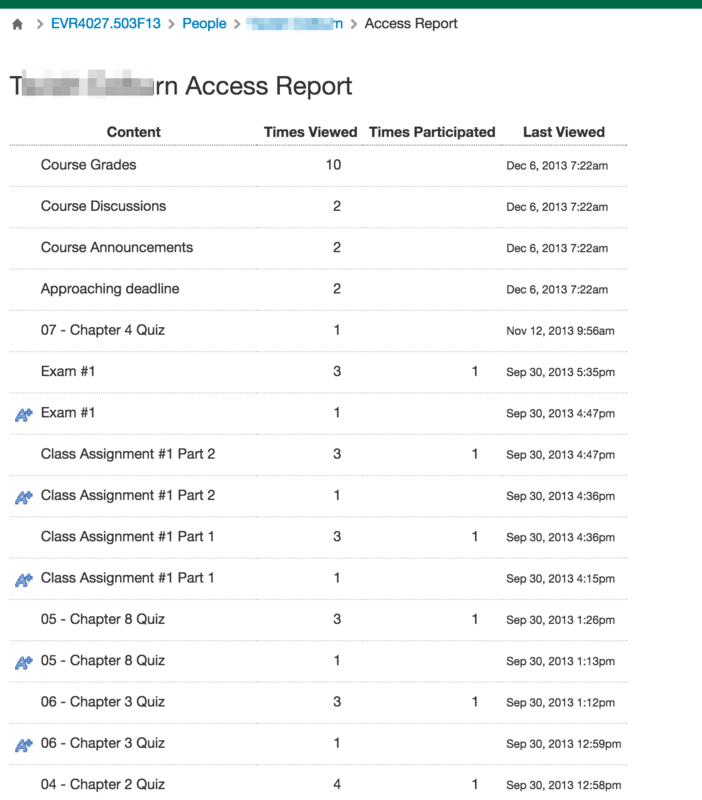 In Canvas, each student in a course has a handy Access Report that shows the last time they access each item in a course, and also indicated the number of times they interacted with items that are interactive (quizzes, assignments, discussions,etc.) Is there a API that returns this student course access data in a convenient to use format? You might want to try the api/v1/users/activity_stream see the API documentation on it. Canvas LMS REST API Documentation Scroll down to List the activity stream. The data certainly looks to be in that API, but it's ordered reverse chronology, and includes all activity, course and non-course. There also doesn't seem to be a way to filter for a course or date range. I'd have to start making calls, going back in time until I hit the course I was interested in. It seems to me Canvas would have a better way to call this data to assemble the Student Access Report. Additionally, there's not a flag that indicates if an item is a 'participation' or not, but it would be easy enough to use my own logic for that. All Submissions, DiscussionTopics are 'partitipation', other activity is passive, not 'participation'. I am wondering, were you ever able to resolve this or is it something you are still looking for? I am hoping I can assume that it is well and truly resolved by now, but if not, I would suggest logging a Feature Idea in the Ideas space. Alternatively, if have some insights you may be able to share for others that would be awesome too!